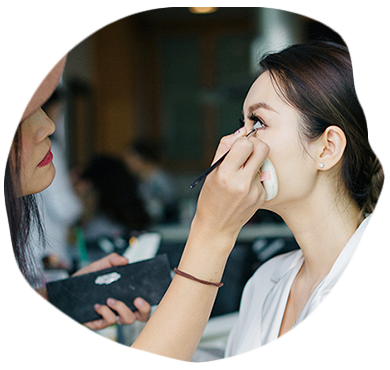 With her keen eye for precision and detail, Kelly Zhang has become one of the most in-demand bridal makeup artist and hair stylist in Southern California. Kelly’s expertise is most notable in her ability to accentuate and highlight the eyes. Her technique produces a resulting appearance of effortless definition that is both feminine and timeless. Kelly also showcases her talent in her ability to create a soft, youthful radiance with a distinct focus on emphasizing her clients’ natural beauty. Kelly’s ambition is to use her talent to educate, empower, and enable women to feel and look their best every day.